Spectacular Home a must see. 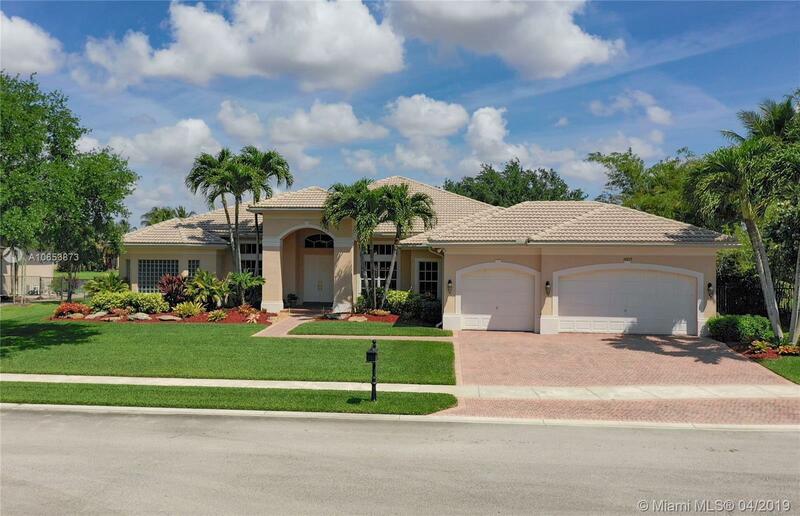 One story 4/4 plus Den/Office and 3 car garages in the prestigious Riverstone Gated Community. This beautiful Waterfront House is the gorgeous Model residence Three-A with Lake views and perfectly located in the private cul-de-sac street the ideal area for the safety of the kids. The property features open concept floor plan with crown molding, chef gourmet large Kitchen, Spacious Master Suite with a newly remodeled shower in the master bathroom with dual vanities, and Roman Tub. Full Cabana Bathroom, tile throughout with high ceilings. Generator Switch, fenced yard on the patio and Security System. Riverstone offers resort-style amenities including a party pavilion, basketball, tennis courts, playgrounds, surrounding Park plus A+ rated schools.